In a change from original construction plans, the SAC ramp will not be removed, saving upwards of $800,000. In Tuesday’s SGA Senate meeting, Director of Student Involvement Tim Moore said chill water and steam lines run underneath the ramp, causing the cost. Moore said it could move in the future. Initial SAC renovation plans called for the ramp and all escalators to be removed. Instead, only the west side escalators will be removed, saving $300,000. Services Vice President Lauren Greenwell said SAC construction is on schedule and within budget due to the changes. At the meeting, SGA President Aaron Vance talked about replacing the 2020 plan, which sought to make U of L a “preeminent metropolitan research university” by 2020. Vance said the university will focus will on general fund projects along with building and renovating classrooms in STEM buildings, which tend to be older. Vance also wants to begin an annual “State of the Student Body” address, which will outline Top Four activity. Four resolutions, sent to services committee at the previous meeting, were passed. The resolutions included Addition to Lactation Rooms to Instructional Buildings Act, Addition of Gender Neutral Restrooms to U of L, Balanced Student Life Resources Act and the Presidential Search Act of 2017. The Balanced Student Life Resources Act will entail coordinating existing student services to make them more accessible. 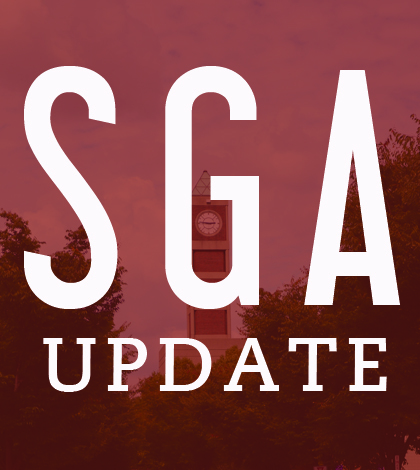 The Presidential Search Act of 2017 outlined qualifications SGA recommends the new U of L president to have.